Be it wedding, Diwali or Navaratri celebration, the prime attraction of any Indian festival is the glam and style of traditional dressing. Let us checkout some of the must haves for women this festive season to grab the limelight. Gorgeous, bright sarees are must haves for dressing at Indian festivals. 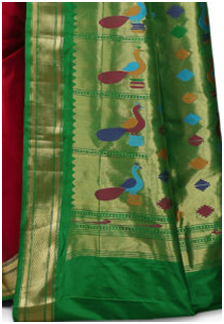 Red, pink, green and yellow are some of the traditional colours which define festive sarees. A bit cooler tone like blue and silver are used hike choosing sarees for reception and engagement parties. Handloom sarees, soft and light in colour are generally preferred during the pooja, yagna or havan. These sarees generally come with a plain body with a broad border in a contrasting colour. Indian wedding starts with the haldi and mehendi rituals. Salwar suits and Anarkali dresses are mainly preferred for these days. 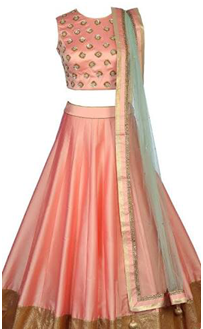 Orange, cream or pink coloured dresses are preferred on these occasion which are again flowy, laced or embellished with beads or stones. Lahenga cholis are a twist to your traditional women dresses for festivals. Available in varied colours, these are generally bright and studded with stones; some are even rimmed with golden threads. These dresses with a warm hue and gold detail are perfect to blend with the glowing lights, sound and colours of the bridal night or a sparkling Diwali evening. Some of the most common material which are used to make suits, sarees and lahengas for Indian festival are chiffon, silk, cotton and crepe. To complete the traditional look in an Indian drape, ladies make the wear more graceful and stylish they smartly accessorise it with Fine jewellery which includes necklaces, chains, earrings, bangles and bracelets made from pure gold or silver and studded with gemstones or diamonds is a must at any Indian festival or wedding. 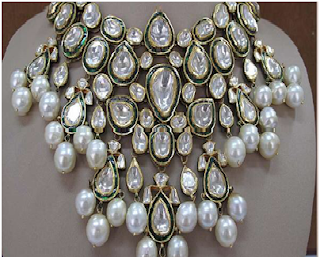 Pearl jewellery is another traditional accessory. 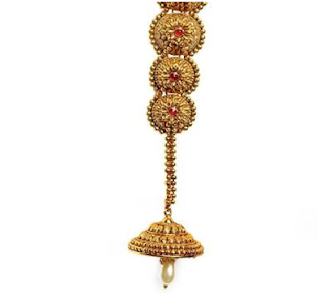 Row of pearls or just a pearl dangling like a dew drop from a chain are some uniquely designed jewellery worn during festivities. Pearl is considered as an emblem of luck. 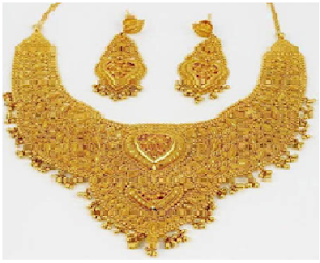 Jadau is another special jewellery set used on vibrant occasions like Diwali, Navaratri, wedding or reception. This kind of jewellery is a combination of polki, minakari and Kundan; it embeds gems or glass pieces over gold. Junk jewellery is the new addition to the traditional women dresses. Oxidised silver, wood and burnt clay are some of the most common material used to prepare junk jewellery. This is a budget option for jewellery and fits any occasion. 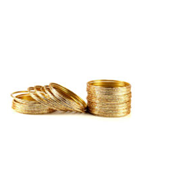 Junk jewellery is available in varied colours and some of the common types are rings, earrings, danglers, anklets and bracelets which often reflect tribal designs. Let us get into the detailed description of the jewellery which is worn by a woman in an Indian festival. Heavy necklaces: Indian ladies prefer long chains, heavy necklaces covering the whole neck on Indian festivities. Large earrings: Often crafted to represent delicate designs and sparkling with gem stones dangles till the shoulder. Head jewellery: These are more like crowns on the head of an Indian lady. These are available in delicate designs and are light as made from fine gold or silver. Also known as sarpech, are topped with crests and have emeralds and uncut diamonds dropping from it. Jadanagam: This is a symbolic headgear generally worn by South Indian women. 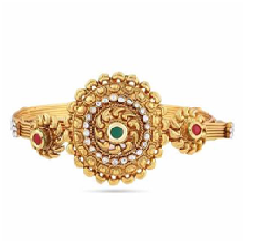 Serpent shaped, jadanagam is just not a jewellery but a symbol of power and brilliance. Studded with emeralds and uncut diamonds, this is a must have to decorate braided hair. Nose rings: These are made from pure gold or silver and beautifully designed to add a different glow to the face. Waistbands add a feminine look and hence extremely popular amongst women. These also help manage the saree well. These are also referred as belly chai and are made from gold, while others are studded with diamonds and emeralds. Some are even multicoloured to match the colourful sarees. 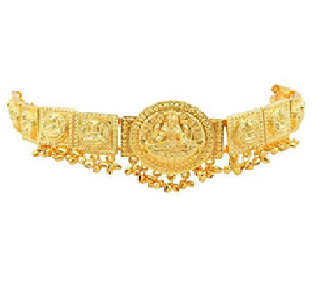 Vanka or armlet is another beautiful traditional Indian jewellery. While some are lotus shaped, others are peacock or parrot shaped. 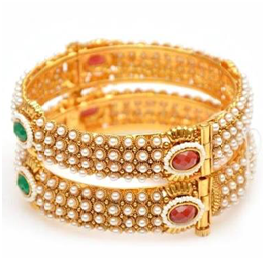 Some armlets coil like a snake over the arm, giving an magical look to the festive attire. Kundan, also known as kada, a golden Kundan carved and studded with diamonds or semi-precious stones is a perfect match with a gaudy Benarasi silk saree. Bracelet is another option which is available in different shapes and designs. 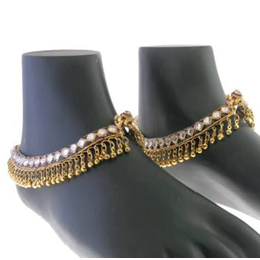 The Gota Patti bracelet is a perfect match when the saree or lahenga has a golden border or golden flowers. Kangans or bangles with their tinkling sound is an all time favourites in traditional dressing. Besides gold and silver, bangles are available in vibrant colours and are also made from glass and plastic, studded with small mirrors. Hand rings are mandate in an Indian engagement. While some are made from solid gold others have diamonds and emeralds at its heart. Indian festival is a blend of religious and fun activities. Hence it must have some accessories which reflect this fun part of Indian festivities. Payels making a tinkling sound when a Indian women moves from one place to another is a must in an Indian celebration. White dresses with flowery odhnis are chosen for the colourful festival of Holi. Ladies prefer black apparels for Makar Sankranti. Lahengas with backless blouses and bandhani work are preferred on Dussehra and Diwali. Id is the festival where ladies love to wear apparels made from soft muslin silk. Women throughout the country love to clad in beautiful apparels; but every region has its own designs and cloth material which is used. During festivals in Punjab like Baisakhi ladies wear patiala salwar suits made with Phulkari designs. Beautifully designed with motifs and handcrafted with embroidery styles, these dresses are filled with life. Paithani sarees are special in Maharashtra. 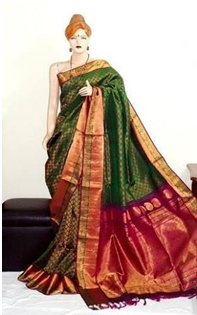 Bright colours like orange and green are used to make these sarees. These drapes comes with wide borders painted with peacocks and squared obliques. Kerala cotton is a comfortable drape which wraps around the body easily. Made from silk, cotton or handloom, these sarees come with a plain body and have a broad, colourful border. Some are even hand painted and extremely sober to suit the pooja needs. Patola sarees are specialities of Patan, Gujarat. These sarees are royal in look and takes almost 6 months to 2 years to weave one drape. From soft pastel shades to bright hue, Patola sarees are grand. How popular may be western wear these years, when it comes to the Indian festivals and weddings, there is need of traditional Indian dresses and accessories to match up with its glitz and glamour. Get some of the above mentioned apparels and accessories in your wardrobe to be a perfect match to these big and lavish ceremonies.